We have been running these brackets for two years now in the Pacific Northwest and have punished these with just about everything we could throw at them. CNC laser-cut, formed and TIG welded for precision fit, and finished in a black wrinkle powder coat. 100% designed and built in the USA. Fully adjustable and absolutely no drilling into any part of your beloved van is needed! 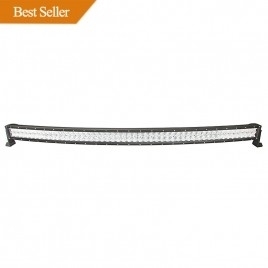 Offered in 2 different styles for either a 52" curved light bar or a 52" straight light bar. Supplied with stainless steel tamper-proof hardware and tool for mounting to your vehicles rain gutters. We are currently building more sets and will be available in 2 weeks. Fully compatible with AUXBEAM Light Bars. A very effective and economical set-up for blazing through the forests of the PNW. We have these mounted and running on Tin tops, Westfalias and Adventurewagen Hi-tops.